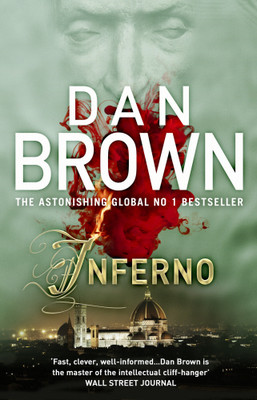 We love Dan Brown books for the thrill it contains. The research he and Blythe does for the same is extensive and is reason for the good end product. 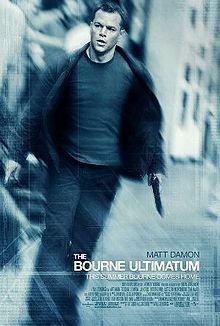 Most of the movies based on his books are quite thrilling too. Well, the makers need to make some changes into the story and remove some segment in order to fit it into cinematic arena. But, overall we found good results so far. So we were curious to watch Inferno, a Hollywood movie based on the book of same name by Dan Brown, since a while. The plot of the movie is about a cynical intelligent fellow’s quest to solve the problem of over population of mankind on the earth by spreading deadly virus to kill a major portion! His actions are inspired from Dante’s imaginary hell (as portrayed in his world famous work – Inferno). Telling more about it is about spilling the beans. And it will ruin your experience to watch the movie. Considering most of the moviegoers would be Dan Brown / Robert Langdon fans, we already know the story, so the script didn’t have to be inventive. It only needed to stick to the story and keep it tight and moving. Unfortunately, it feels stilted. And for those who just went to the movies without reading the book, it wouldn’t make much sense. We meet Robert Langdon and Sienna in a hospital set-up in Florence and the chase is on with Viantha on their tale. The Viantha in the book was capable and menacing character – but not so in the film. Robert and Sienna start chasing the riddle left by Bertrand Zobrist and soon the World Health Organisation and the Provost are in the mix too. Moving from Florence to Venice to Istanbul, they all happily go around in circles and in the end find ‘the plague’ and in a real movie style “contain the virus”. So, the end is not quite the same as the book. Tom Hanks is not given much to do while dear Sienna can’t really decide how she wants to play the part and settles on a bit demented. A romantic connection is hinted between Robert Langdon and WHO’s lady director Elizabeth, but they hardly send sparks flying around on screen. The only saving grace in the movie is our own Irrfan Khan. He plays the Provost with a zest and a sense of vitality and enjoyment in the whole fracas. And even though for very brief periods, the film does take you through gorgeous but overcrowded museums of Florence and Venice, and eventually to the Hagia Sofia in Istanbul and the exquisite sunken palace. In one word – disappointing…..The movie not only fails to thrill but it also made us laugh in some of the most serious and important sequences of the film (quite unintentionally).